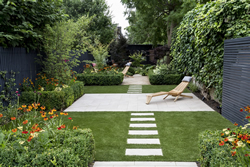 A list of firms offering gardening services in Chiswick. If you use a service from this page please tell us how things went. We are a small family run business that has worked in the West London area for over 30 years. One of the many areas we specialise in is Natural stone, and have recently won the Marshall’s south East Region award for 2011 in design and installation of natural stone. A professional tree surgery company based in West London. We specialise in the care and maintenance of trees in the urban environment, whilst providing a friendly, professional and reliable service. We provide comprehensive services in West London which include crown reductions, crown thinning, crown lifting, dead wooding,tree removal and stump grinding. Fully insured & provide free quotations. 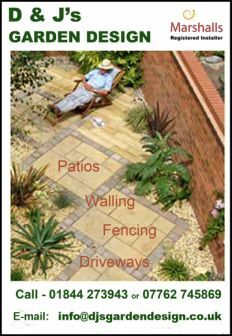 We provide an all round garden service whether it be maximizing the potential of a small space or bringing a fresh and interesting look to a tired view. 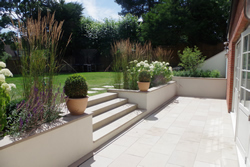 Our projects regularly include patios, decking, fencing and planting. We pride ourselves on delivering what the customer wants whilst being prepared to offer our own ideas. Feel free to call for your free estimate. info@kiwilandscapes.com By understanding your vision and communicating with you throughout the project we’ll achieve the atmosphere, appearance and practical functions you want from your space. Using high quality materials creates a professional finish, minimises ongoing maintenance, and gives you a landscape that lasts. Efficient management means a smooth-running project, delivered by experienced, hard-working, friendly antipodeans who minimise the mess and disruption. We’ve used these three principles to turn hundreds of outdoor spaces into inviting, tasteful, functional places that people can enjoy. ALISON WEAR, BA Hons., MA (Garden History @ Sussex University) creates designs which match innovative ideas, harmony and colour with the client's needs, environment and budget. GOLD MEDAL WINNER RHS Chelsea Flower Show. "We recently used Tom Boswell Tree Services to prune a large tree in our garden and I was very happy with the service we received. Tom and his team were extremely efficient, punctual and tidy and did a great job. I will definitely be using them again." "Tom and his team did a fabulous job cutting back our large Robinia tree in the back garden. They arrived promptly, both for the initial inspection/quote and the actual job. All debris was removed and the garden was left in a very tidy condition. They even removed some garden waste that I had created, but neglected to remove and dispose of myself. Would certainly use them again and recommend them for any tree service work requirements." Services include fencing, decking, bespoke sheds and outdoor rooms, paving, water features, turfing, lighting, brickwork, planting schemes, iron work, bespoke garden art, maintanance and clearance. The Garden Fencing Experts. Friendly local service. Also garden clearance & tree work.